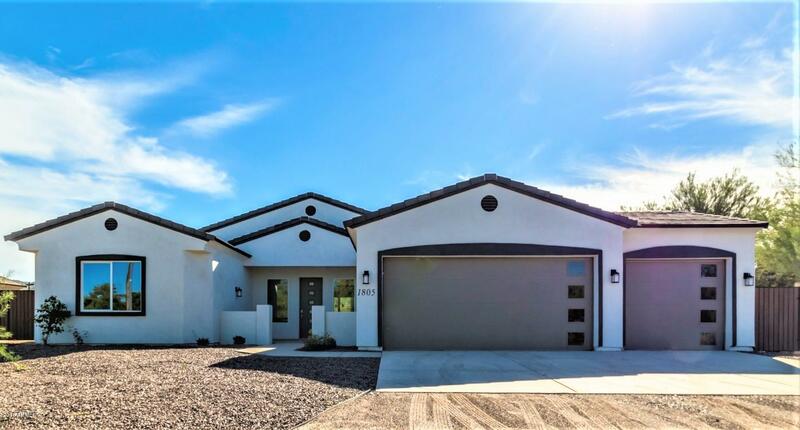 All Legal Description is atta homes currently listed for sale in Phoenix as of 04/20/2019 are shown below. You can change the search criteria at any time by pressing the 'Change Search' button below. "New home on large ACRE lot with mountain views & extraordinary finishes. FEATURES: Soaring 10ft ceilings throughout. Greatroom plan with formal dining, perfect for entertaining. All finishes & fixtures are designer derived for a timeless contemporary appeal. Master bath has separate tub & shower and dual sinks. OPTIONAL UPGRADES ADDED to this special home include 8ft vertical panel designer 'shaker' style doors. 8ft x 12ft wide sliding glass door (to spacious covered patio), gourmet kitchen Frig"
"NEW Home, just built! Expansive floorplan with an amazing kitchen make this a very special home. Large greatroom plan with 9' ceilings and 12'' x 24'' tile throughout except bedrooms which have quality carpet and pad. Kitchen has stainless steel appliances, granite counters, a large island and a spacious pantry. Large master bedroom with a walk-in closet and huge bathroom. Master bath garden soaking tub features a beautiful tile surround with decorative glass trim. Second master bedroom wi"